Everyone’s had the experience at some point or another: You’re folding laundry and realize that you’re missing a sock from a pair. In fact, you’re missing several socks, and you have a stack of them waiting to reunite with their partners. Just where do those things go, anyway? 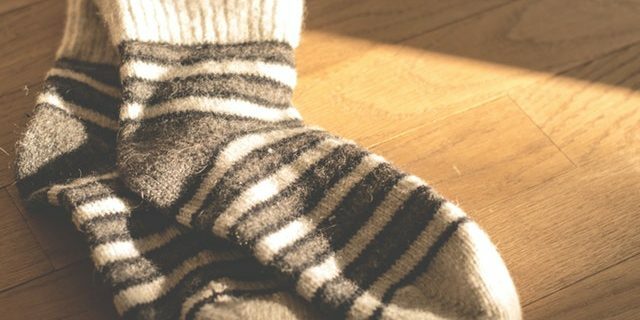 For the most part, many missing socks end up falling in the gaps between your washer, dryer, and the wall. Instead of trying to fish them out, just prevent them from falling in the first place. The best way to do this is to take a strip of foam pipe insulation and stuff it into the gaps. Make sure that you don’t accidentally leave a space for the socks to slip through before cutting your pipe to size. Put these tubes in all the empty spaces, and socks will have nowhere to fall, allowing you to sort them out with the rest of the laundry, as it should be.